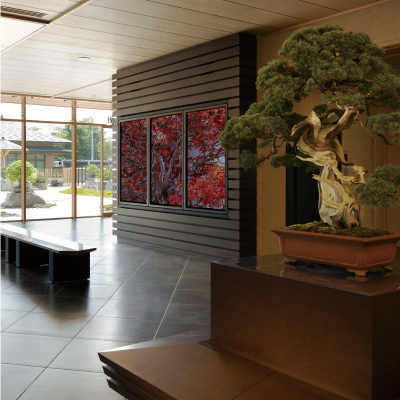 The Collection Gallery begins with an area dedicated to introducing elements essential to bonsai culture such as bonki (bonsai pots), suiseki-stones, pictures, historical and folkloric materials. Next, in the Main Gallery, along with panels explaining bonsai, 5 bonsai are on display. 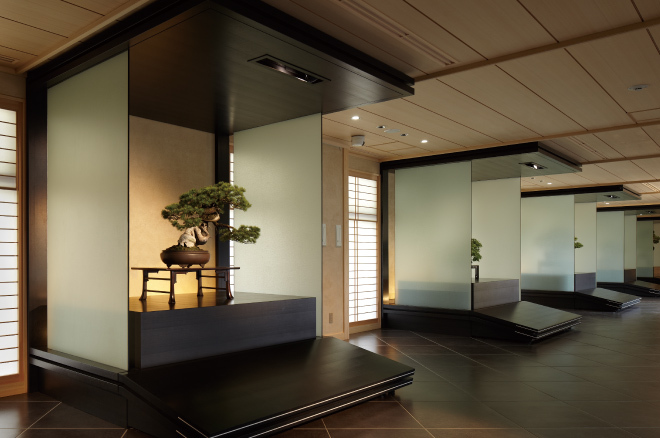 Finally, within three tokonoma (alcove in a Japanese style room) bonsai, suiseki-stones, and scrolls are exhibited. The exhibits are selected according to the season and change on a weekly basis. In the bonsai garden, usually 40-50 bonsai are on display. Some bonsai can be viewed from all angles, so you can enjoy their different views from both the front and back. One of the largest bonsai in this museum named Chiyo-no-matsu (Japanese five needle pine) is placed on turntable which enables to optimize the exposure of different parts of the tree to the sun. 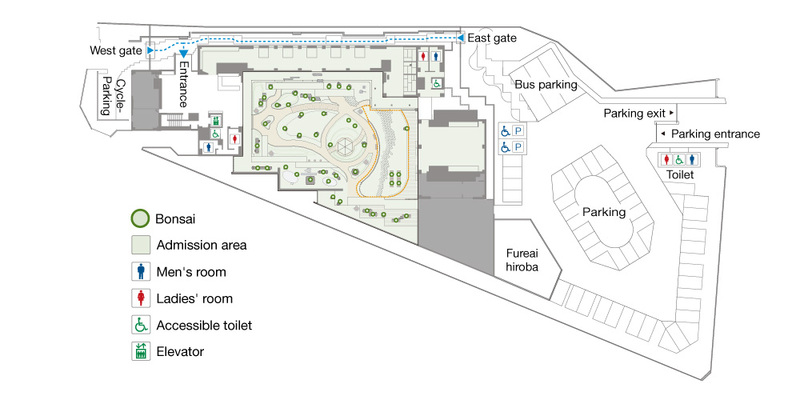 You may also take in an over-looking view from Azumaya in the gardens center, and also the Terrace located on the second floor of the main building. 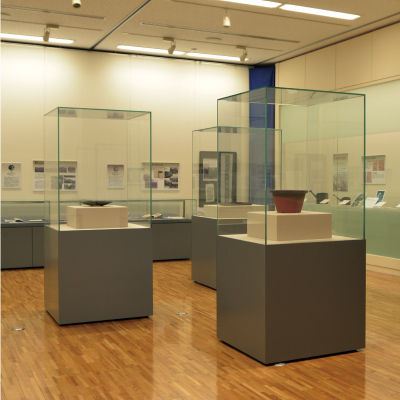 Audio guides in four languages (Japanese, English, Chinese, Korean) are available to visitors to the museum. 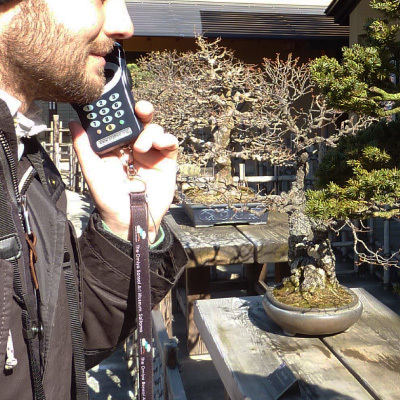 Visitors can listen to detailed explanations of each bonsai. Be a Bonsai expert! 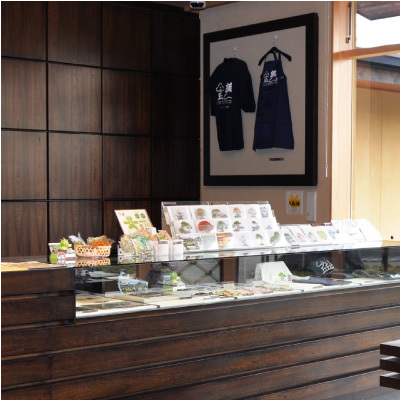 In house publications, such as photo journals, cotton hand towels and Bonsai post cards are on sale at the museum shop along with other original bonsai merchandise. 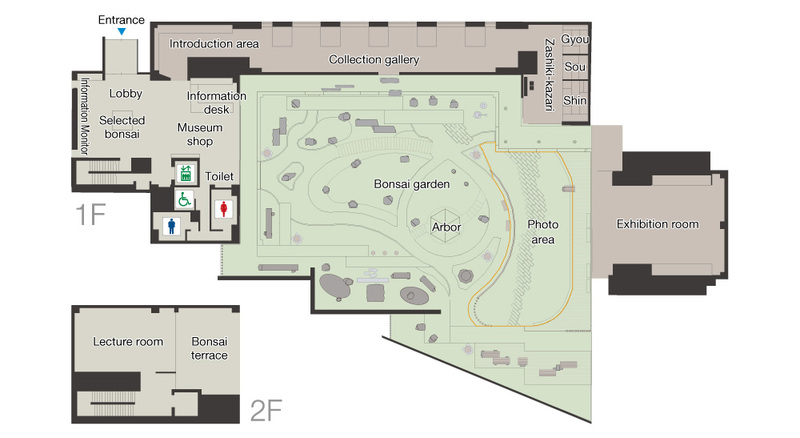 The lobby and part of the Bonsai garden are designated photo areas. Visitors to the museum are invited to make memories of their visits. 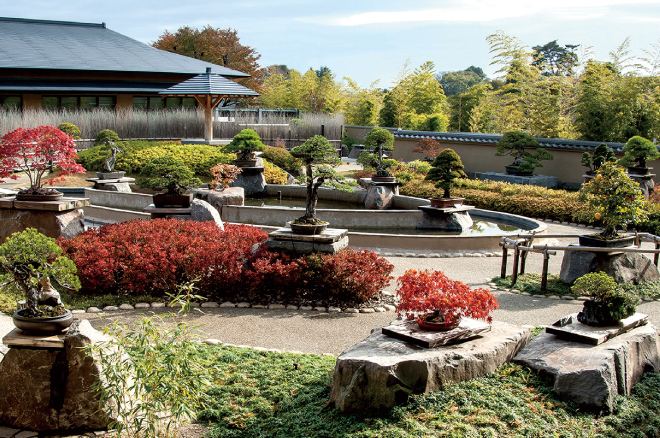 The museum holds special exhibitions of the art and history of Bonsai and Omiya Bonsai Village. *During the curating and changing of exhibitions, this area is closed.